Wake up and smell the cookies because we have finally entered the month of December, which can only mean one thing: hello, Christmas! The season of joy is here and the countdown has begun. Santa Claus and his reindeers have come out to play. We don't mean literally, unless you still believe in Santa Claus then, good for you! It is not difficult to identify when Christmas is approaching, but in times when you feel like we don't have much in life to celebrate about, it is nice to distract ourselves for just a little while and focus on the bright Christmas lights. Malaysians are spoiled for choice when it comes to shopping malls. It is the one place we turn to for shelter when it is either too hot outside or raining cats and dogs (a.k.a. all the time in Malaysian climate if you think about it). As a country with a melting pot of culture, the first sign of a nearing festive season is always spotted at the mall. 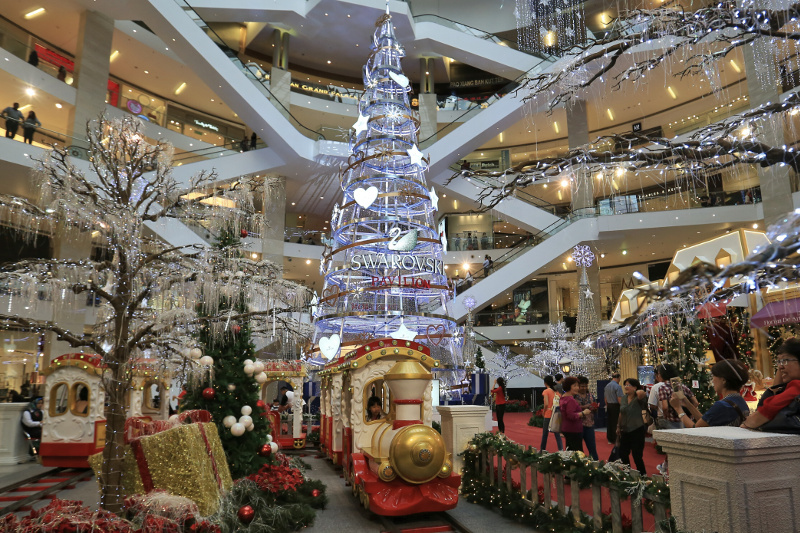 Year after year, malls around the city strive to put up the most elaborate Christmas decorations. ‘The bigger, the better’ seems to be an unspoken rule among mall operators. Some of them start as early as November or even October! So when you start to see ‘snow’ indoors, you know Christmas is near. As soon as the Christmas decorations go up, you will start hearing a hundred different versions of the same Christmas carols when you walk into restaurants and stores, like ‘Jingle Bells’, ‘Santa Claus Is Coming To Town’, ‘Silent Night’, ‘Joy To The World’, and the more modern ones like the extremely overplayed hit by Mariah Carey. Some people may even have their own customised playlist of their favourite Christmas songs blasting in their homes or cars, so much so that you may even start hearing them in your dreams! Jokes aside, there is no better way to welcome a festive season than with music. So when you hear ‘All I Want For Christmas…’ playing in the car next to you while you’re stuck in traffic, you know Christmas is near. 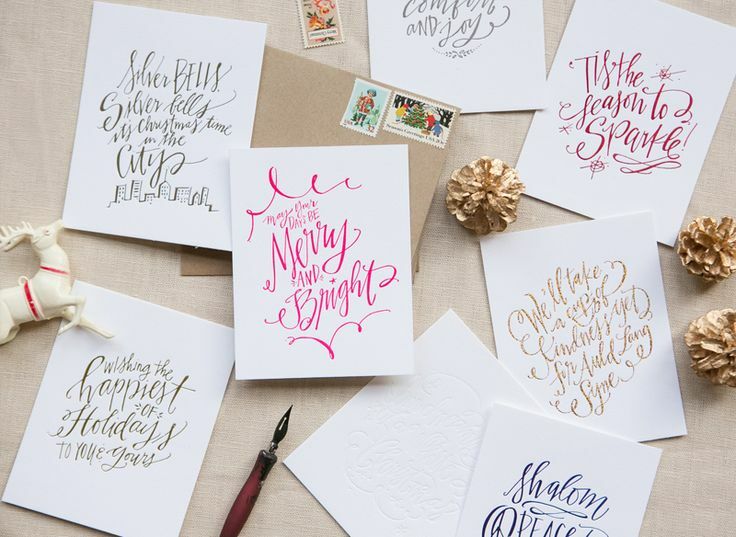 People are becoming more and more creative with greeting cards, especially following the boom of brush lettering and calligraphy workshops in recent years. Everyone is just trying to outdo one another with almost the same style of handwriting or font to send out their best festive cheer. But honestly, it does feel pretty good to receive an actual greeting card, doesn’t it? At the book store, we are greeted (pun intended) by all kinds of colourful cards that are so creative and unique that you’d think it was made just for that one person you were thinking about. So when you find more Christmas cards than birthday cards, you know Christmas is near. Let’s face it, festive celebrations are the best times for business. The fact that Malaysia practically rhymes with food, hotels and restaurants will often have a swell time showing off their festive menu. And Christmas is no exception! When the season is approaching, many places would cook up a special ‘limited time only’ menu for suitable for a romantic dinner for two or big gatherings among family and friends. 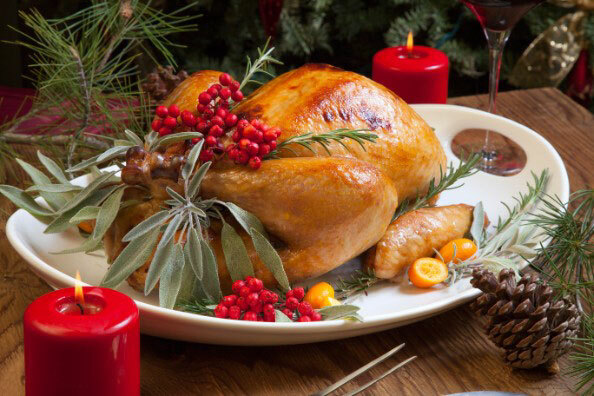 You can even place orders for roast turkeys because the Christmas season is possibly the only time we get to see this bird hanging around town. And let’s not forget the coffee shops and their Christmas beverages! Although we don’t get to enjoy real snow and freezing cold weather during this time of the year, it is nice to have a warm mug of drink to hold in your hands. Hey, if you can’t hand ‘em, join ‘em! Right? 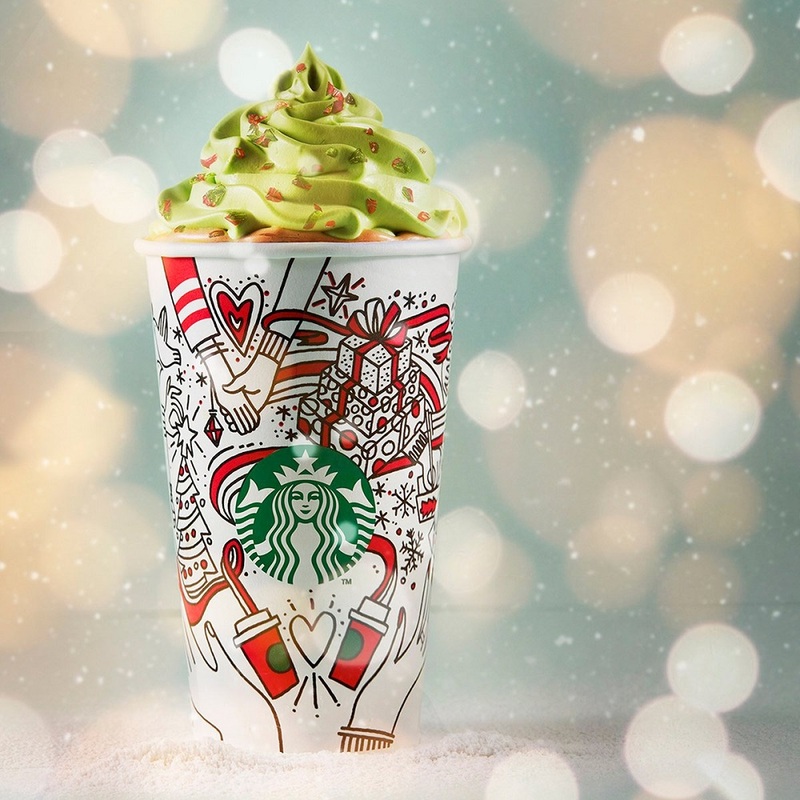 So when you start seeing advertisements of roast turkeys and toffee nut latte, you know Christmas is near. Another thing that only became popular in the last decade or so, an advent calendar is basically a special calendar used to countdown to Christmas from the beginning of December. Although traditional advent calendars date back to the 19th century, businesses of the 21st century use them for a slightly different purpose. These advent calendars would act as promotional tools for various businesses. They would fill each slot with a different product and sell the advent calendar as a whole, marketing it as the perfect Christmas gift. The idea of having a brand new surprise every day for 25 days straight does sound intriguing. So when you spot box calendars that look like the one above, you know Christmas is near. We all have that one person in the group or at the office who love planning celebrations. The more excited ones would start sending out emails or WhatsApp messages calling for another round of Secret Santa in November, they would even have the date, budget and theme all sorted out! 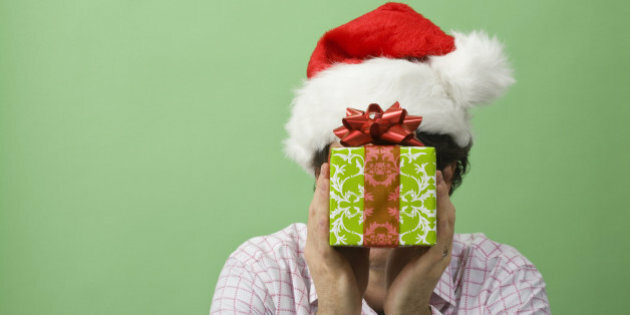 For those who are a bit clueless, Secret Santa is a Christmas tradition where each person participating is randomly assigned someone to whom they give a gift, and of course, that person does not know your identity because you’re his or her ‘secret’ Santa. Most of the time, the group would agree on a certain budget for the gift because you can’t have somebody buying a thoughtful RM100 gift and another cheapskate getting a RM5 item from the dollar shop. So when you get a notification of yet another Secret Santa, you know Christmas is near. Call us bias, but this is our favourite tell-tale sign that Christmas is approaching. What started out 15 years ago has become a yearly tradition that just brightens the neighbourhood. We won’t go into much detail, you can read more about the house here when Rojak Daily interviewed the family behind it last year. 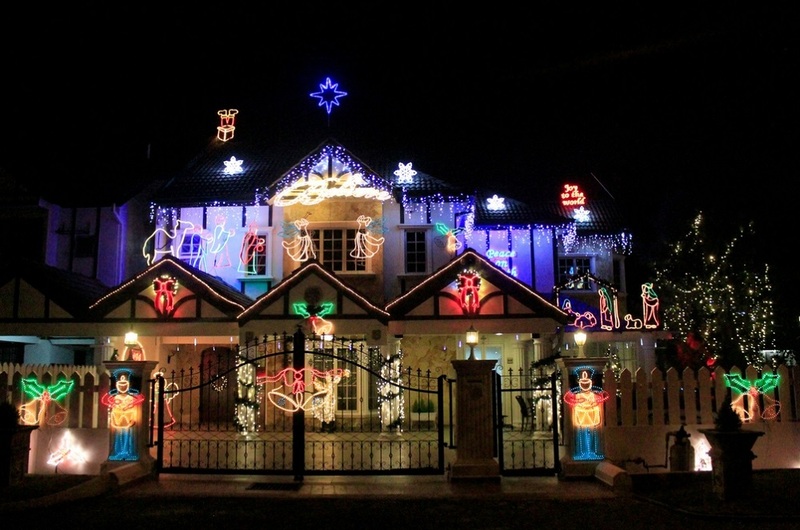 So when this house lights up, you know Christmas is near. However, there is still one thing we wish we had that will just be the elephant in the room telling us the season is coming – winter.